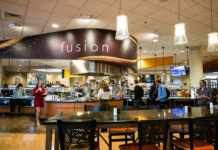 The Anna Fascitelli Fitness Center will launch its own version of “Thirsty Thursday” with free smoothies, a free water bottle and free nutritional advice. 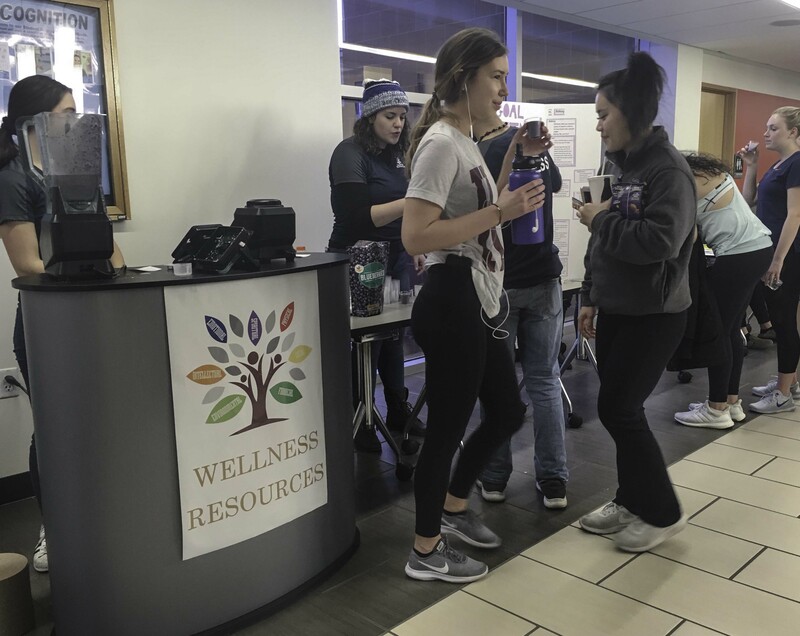 Every other Thursday at the fitness center, students from the Wellness program, in collaboration with Health Services, organizes the event, which offers students free smoothie samples while presenting important nutritional information such as the pros and cons of calorie counting. Anyone who goes to Thirsty Thursday can pick up copies of the recipes and a Thirsty Thursday card. The card has the slogan, “Get Two, Get Gear!” If students go to Thirsty Thursdays twice and get their card stamped, they will receive a free water bottle. Robbin’s intern, Hannah Ornburn, runs Thirsty Thursdays. Her job includes ordering the ingredients, completing nutritional research and making the smoothies. Bulking diets are best for people who do weightlifting type workouts when they go to the gym. On Jan. 31 they offered a bulking chocolate banana smoothie and a cutting blueberry banana smoothie. The ingredients in the smoothies are healthy and designed for their kind of diets. The bulking smoothie had one percent milk because it is higher in fat and protein than the almond milk they used in the cutting one. The use of almond milk also provides a vegan option. The smoothies have ingredients such as chia seeds and tofu as well to create a milkshake-like texture and add an extra source of protein. Thirsty Thursday has even garnered some national recognition. 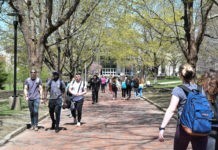 Robbin was interviewed by Campus Rec Magazine after they heard about the event on URI’s campus recreation website. Ornburn thinks that Thirsty Thursdays is becoming more well known. “It seems like we get more and more people every week,” she said. Student Luisa Santos exercises at the fitness center four to five times a week. She has seen the Thirsty Thursday booth more than once. The next Thirsty Thursday will be on Feb. 14 from 4-6 p.m. in the Anna Fascitelli Fitness Center.